Cell time for cell phones? All of the defendants were in the courtroom under a program in which domestic-violence offenders agree to undergo drug and alcohol testing, as well as counseling, in lieu of jail time. Participants make weekly appearances in court to have their progress monitored and are released after each appearance unless they have violated terms of the program. They were all quite familiar with the judge and his courtroom protocol. Eleven of the defendants had already appeared before the judge that morning and were waiting for the proceedings to end. Someone’s cell phone went off, so Judge Restaino decided to rescind everyone’s release. The defendants were taken to the city jail en masse. Fourteen who could not make bail were taken to the county jail. After receiving inquiries from the local news media, the judge ordered their release in the late afternoon. Judge Restaino’s actions were reviewed by New York’s judicial oversight commisson. They were not amused. The commission said that Judge Restaino acted “without any semblance of a lawful basis” and behaved like a “petty tyrant.” It said his conduct “transcended poor judgment.” They voted 9-1 to fire him. The judge has hired a lawyer and is appealing his termination. He knows his rights! He has apologized for his actions and has asked for reinstatement. When Restaino finally gets his day in court, we can reasonably assume that his cell phone will be in the mute or off position. If it’s an alternating Thursday, this must be Health Wonk Review day. This week’s edition is hosted by Dr. Roy Poses at Health Care Renewal. While we have many wise wonks in our roster, Dr. Poses is one of the few participating physicians, a welcome perspective. His introduction to this week’s HWR discusses the reasons why he and his physician co-bloggers launched their blog – to address threats to health care’s core values, especially those stemming from concentration and abuse of power. Go check out his blog, and today’s substantial issue of HWR. Prescription Drug Study – Hot off the presses, NCCI’s Prescription Drug Survey – 2007 Update. NCCI notes that there are signs that the prescription drug share of total medical costs for workers compensation is leveling off, and cites a few promising developments: some popular drugs that were frequently used in workers compensation claims have been withdrawn from the marketplace; generic versions of some popular drugs have been approved; and the introduction of new drugs has slowed. Spanish PowerPoint health & safety presentations for construction and general industry. These training aids were developed in conjunction with the University of South Florida, an OSHA Training Institute Education Center. Wildfire recovery workers safety – a compilation of resources. Assaulted in a Home/Office: Compensable? Kristina filed a workers compensation claim, based upon the fact that she was “at work” and involved in a “work related activity” (making her lunch). The claim was denied by the carrier. Her appeal was dismissed on summary judgment and dismissed again by the Tennessee Supreme Court. The court agreed that her injuries arose “in the course and scope” of employment: she was indeed “at work.” However, her injuries did not “arise out of” employment. Mr. Sawyer did not come to her house on a work-related matter. Her relationship with him (a casual acquaintance) had nothing whatever to do with work. So the court rejected her claim for workers comp benefits. Had she been covered by comp, Kristina would have had all of her medical bills paid from dollar one, with no co-pays or deductibles. Her future medical bills – which will be considerable – would also be covered. Her prescriptions would have been covered as well, again with no co-pays. And she would have collected indemnity (two thirds of her average weekly wage), retroactive to the date of injury. The world under the comp umbrella would have been a lot more secure than the one she is facing. In a better world, we would all be protected by 24 hour coverage. In the world we inhabit, our coverage under workers comp is limited to the times we are working and covers only risks arising from our work. Coverage for telecommuters remains a gray area (which we have blogged before). For most of us, working in a home office would be the safest possible environment. For the unfortunate Kristina Wait, her home office was host to horrendous and unforeseen risks that had nothing at all to do with her work. If you are feeling a tad lethargic after your holiday weekend, we are warning you that you may find the contents of today’s posting a bit of a wake-up call. Ontario’s Workplace Safety and Insurance Board has unveiled a series of graphic public service announcements designed to highlight worker safety. The theme – There Really are No Accidents – is intended to send the message that work injuries and fatalities are unacceptable and preventable. The campaign includes television and radio commercials, print ads, transit shelter and outdoor ads, web-based ads and a Prevent It website. In addition to running in English and French, the print and TV ads will run in Cantonese, Mandarin, Italian, Portuguese, Punjabi and Spanish. This approach is markedly different from anything that we seem to have here in the U.S. These work safety ads are startling, both in the shocking and gruesome nature of their content and in the fact that they are run on public television. Other than an occasional reference to workplace safety in an insurance spot, we can’t recall ever having seen TV ads devoted to worker safety. And despite pervasive graphic violence in films and on TV, it’s hard to imagine spots like these being run on network or cable TV in the U.S. Another remarkable thing in comparing Ontario’s approach to ours is in the variety of languages that the print and broadcast ads are employing to get the work safety message out. Does shock value work? It would certainly seem to be effective in drawing awareness to an issue, although it’s hard to measure if heightened awareness translates into better on-the-job safety. Ontario has been running graphic ads for a number of years now, and last year, there were 101 work fatalities in a population of some 12 million people. That’s roughly comparable to the population of Pennsylvania, where there were 240 workplace fatalities last year or to Illinois, where there were 207 work-related fatalities. Alabama had about the same number of work fatalities (100) for a population of about 4.5 million. Maybe we could indeed use a few PSAs here. (For state fatality stats, see BLS report on fatal work injuries in 2006). What do you think – effective or no? We’d be interested in hearing of any other public awareness campaigns for workplace safety – perhaps there are some sate-sponsored efforts. If you know of any, please let us know in the comments. Jay Norris of Colorado Health Insurance Insider has the Thanksgiving Cavalcade of Risk posted, and it’s a great edition – good reading to ease you into the holiday hiatus. At least, I am making the assumption that many non-retail, non-essential services folks have Friday off, but that is not necessarily the case – just ask some 80,000 state workers in New Jersey. Terrorism backstop – Mark Hoffmann of Business Insurance reports that the Senate passed a 7-year extension of the Terrorism Risk Insurance Act. This will need to be reconciled with the House version, which called for a 15-year extension, as well as a $50 million threshold for triggering aid. The Senate version raises the threshold to $100 million. According to AP, the White House has threatened to veto the House version, so it remains to be seen whether the compromise between the Senate and the House version that is expected to be hammered out before the end of the year will be more palatable to the President. New OSHA rule: employers must pay for PPE – Most employers pay for employee personal protective equipment (PPE) – it just makes good sense in terms of reducing both the human and economic costs of injuries. But some employers don’t, they hold employees responsible for the purchase of PPE. It’s largely been a matter of employer discretion. Beginning in six months, it will no longer be discretionary, employers will be required by OSHA to cover the cost of protective clothing and safety gear needed on the job. It is estimated that this will save more than $200 million per year in medical and insurance bills. This rule has been sitting in limbo since 1999, until the threat of a suit by the AFL-CIO and the United Food and Commercial Workers brought the matter to some prominence. Thanksgiving – Have a good one, and a safe one! This amusing ad clip reminds us there can be unexpected hazards at home. My favorite retailer is in the news again. (The source is an article in the Wall Street Journal by Vanessa Fuhrmans, so you need a paid subscription to read it, at least until Rupert Murdoch decides otherwise.) The story concerns Deborah Shank, a 52 year old woman who stocked shelves in the Cape Girardieu, Missouri store. She worked the night shift, so she could be home during the day with her three sons. Seven years ago, she was perusing yard sales with a friend when a tractor trailer plowed into her van. She was left with permanent brain damage. Walmart paid about $470,000 in medical expenses. The Shanks sued the trucking company and collected about $1 million, the limit of liability under the company’s policy. Jim Shank, Deborah’s husband, used his portion of the settlement to buy an accessible home for his disabled wife. After paying legal fees, his wife was left with $417,000 to help supplement her care. End of sad story? Not quite. When she signed onto the Walmart health plan, Deborah agreed that her employer would be first in line for payment out of any subrogation. [This type of language in employer health insurance policies is becoming increasingly popular.] Walmart sued Deborah for $470,000 plus legal expenses – in other words, they are suing for more than the balance of her settlement funds. They rejected the Shank’s offer to settle for a portion of their costs. And of course, Walmart being Walmart, they have won the suit. Our many readers in the insurance industry certainly understand the logic of Walmart’s position. Administrators of the company plan have a “fiduciary obligation” to be impartial. In the interests of the group itself, they must pursue every available dollar, regardless of the consequences for one isolated (and devastated) family. The courts may feel some sympathy for Deborah Shank and her long-suffering husband, but the language of the policy is clear and unambiguous. The settlement dollars – and then some – belong to Walmart. In the meantime, Jim Shank has, on the advice of consultants, divorced his wife, to make her eligible for public aid as a single and totally disabled person. Deborah has not been informed of the divorce, but even if she were, she might not understand what it means. After attending her son’s funeral, she still could not figure out why he was missing from the family circle. There is, of course, nothing wrong with this story. The language of an insurance policy has been enforced. The fiduciary obligation of Walmart’s health plan administrator has been fulfilled. One family is ruined, but that’s just bad luck on their part. Surely they do not expect Walmart to show any compassion! I hope Jim Shank can put together a nice turkey dinner on Thursday for his two remaining sons. Despite his many losses, he has much to be thankful for. It might just take a few extra moments to put those thoughts into words. When he does finally bow his head to say grace, there is at least one word that will not cross his lips: Walmart. A cornerstone of Lynch Ryan’s work for more than twenty years, a long-held mantra, has been that employees who work for good employers — employers who care for their workers and show it by the way they treat them — report all work injuries when they happen, get expeditious treatment and return to work faster. Moreover, their injuries cost significantly less than those of employees who work for less caring employers. 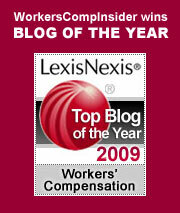 A major driver for low workers’ compensation costs is the quality of the relationship between employer and employee. We’ve seen this in our consulting work time and again, but it’s nice to have independent research confirm the mantra. In the mid-1960s, the Department of Labor’s Employment and Training Administration (at that time called the Office of Manpower, Automation, and Training ) wanted to understand specific issues pertaining to the U.S. labor market, such as retirement, the return of housewives to the labor force, and the school-to-work transition. To do that it began conducting longitudinal studies, studies that look at a random group of like people to see how they develop over time. The Office began four such studies following groups of young men, older men, young women and, no, not “older” women, but rather “mature” women. The studies were originally targeted for five years, but, because they were yielding a mountain of data, they were extended until 1983, allowing other agencies to piggy-back along to glean even more information about how these first baby-boomers and World War II veterans were maturing in post-war America. NLSY79 randomly selected and interviewed a cohort of 12,686 young Americans, 14 to 22 years old, all born between January 1,1957 and December 31, 1965, and it has been interviewing them regularly ever since, for nearly three decades now. As of 2004, there were 7661 people still in the survey group. These people have provided profound and relevant data about the aging of the last of the eighty million American baby-boomers. What does this have to do with workers’ compensation? Actually, quite a lot. Until I read Joe Paduda’s recent blog post, I was unaware that any researchers had ever mined the NLSY79 data for workers’ compensation insights. Thanks to Joe I have been enlightened. Thank you, Joseph. In 2005, Darius Lakdawalla, Robert Reville and Seth Seabury of the Rand Institute for Civil Justice published “How Does Health Insurance Affect Workers’ Compensation Filing” (this is a Working Paper, meaning it has not been formally peer-reviewed). Using NLSY79 data, they confirmed Biddle and Roberts 2003 Michigan study (purchase required), which found that only about 55% of workers sustaining lost time injuries ever file claims for benefits, as well as an Oregon state-sponsored study of the 2002 Oregon Population Survey suggesting that 54% of workers reporting workplace injuries filed claims. They also found that unionized workers were more likely to file claims following work injuries. Moreover, the Rand researchers found that workers without health insurance are about 15% less likely to file a claim than injured workers with health coverage. A still more surprising finding may be that workers at companies that merely offer health insurance benefits are 50% more likely to file a claim after suffering a work injury than workers at companies that do not offer health insurance benefits. However – and here is the major finding for me – lost time, as well as the cost of lost time for these workers who file more claims is about 20% less than for the workers who are not offered health insurance. Finally, other types of fringe benefits – like paid vacation days – also seem to be associated with higher filing rates. For example, when both health insurance offers and paid vacations are present in the same employer, both variables are significant (at the 95% confidence level) and both have coefficients around .10 for claim filing. What does this tell us? Well, for me it reinforces our mantra. These employees may report more injuries, but, as the NLSY79 data show, they return to work faster and their injuries cost significantly less than do the injuries of employees who work for employers who do not provide these benefits. Quod est demonstrandum. The Rand study is compelling and instructive, but you do have to know a few things about statistical research to get the most out of it. Nonetheless, it should provide fuel for further workers’ compensation research using the NLSY79 treasure chest of demographic data. This stuff is too good to sit on a shelf gathering dust. Maggie Mahar of Health Beat has posted a fresh edition of Health Wonk Review, which is ready for your perusal. With the political season upon us, HWR has been quite lively of late, as participants debate the various health plans that candidates throw into the public arena. This week is no exception, with posts commenting on ideas put forth by Romney, Schwarzenegger, and Giuliani. (Well, OK, the Governator is not a presidential candidate, but any reforms in the behemoth of California should be of interest to us all.) Maggie also covers and offers analysis on the ongoing debate on universal health care as it plays out on some submitted posts, specifically in reaction to a recent editorial by Peter Huber of the Manhattan Institute. And there’s much, much more in this week’s HWR, all tied together with excellent and informed commentary. This is Maggie Mahar’s first time hosting Health Wonk Review. Maggie’s blog is relatively new, a project of The Century Foundation, a nonprofit public policy research institution, where she is a fellow. But Maggie is hardly a rookie when it comes to health care – she boasts a very impressive resume. Author of several books, Maggie was previously a financial journalist whose work appeared in Institutional Investor, The New York Times, and Barron’s. At Barron’s, she was a senior editor for a number of years. She was also previously a professor at Yale University, from which she holds a B.A. and a Ph.D. She’s a very welcome addition to the roster of experts who participate in Health Wonk Review! Full Parity for Mental Illnesses expands the Mental Health Parity Act of 1996 (MHPA) to prohibit a group health plan from imposing treatment limitations or financial requirements on the coverage of mental health benefits unless comparable limitations are imposed on medical and surgical benefits. [The proposed legislation] provides full parity for all categories of mental disorders, including schizophrenia, bipolar disorder, major depression, obsessive-compulsive disorder, and severe anxiety disorders. Coverage is also contingent on the mental illness being included in an authorized treatment plan, the treatment plan is in accordance with standard protocols and the treatment plan meets medical necessity determination criteria. Defines “treatment limitations” as limits on the frequency of treatment, the number of visits, the number of covered hospital days, or other limits on the scope and duration of treatment and defines “financial requirements” to include deductibles, coinsurance, co-payments, and catastrophic maximums. Eliminates the September30, 2001 sunset provision in the MHPA. Like the MHPA, the bill does not require plans to provide coverage for benefits relating to alcohol and drug abuse. There is a small business exemption for companies with 25 or fewer employees. Parity is an important concept, but one that simply does not exist in the workers comp system. Comp carriers habitually reject any claims for benefits based upon work-related mental disability (post traumatic stress syndrome, stress in general, depression, etc.). The insurer strategy is usually “Deny, Deny, Deny” until a judge orders otherwise. : The standards for eligibility in most states are very high: work must be the predominant cause of the disability. Most of us have plenty of stress in our lives away from work. NOTE: Long gone are the days when in order for a claim to be compensable under comp, California required a mere 10 percent of the stress to be work related! : Comp benefits tend to be very open ended. Once the carrier accepts a (mental health-based) claim, they are likely to own it forever. As a result, they usually start by rejecting the claim. : Unlike physical injuries, where objective criteria for treatment and recovery are often (but not always) straight-forward, the end-point for a mental disability can be very elusive. : managed care can limit treatment for open-ended physical problems (requiring, for example, limited physical therapy, chiropractic visits, etc). Similar limits on mental health treatment (up to and including hospitalization) are more difficult – but not necessarily impossible – to impose. It’s unfortunate that comp turns its back on the mental aspects of injury. Over the years we have seen many claims where a little counseling after the injury could significantly speed recovery. Well-structured groups could provide support to workers recovering from injuries at a very modest cost. As a culture, we have no problem treating physical disabilities, but when it comes to issues of mental health, we balk. Ironically, as often as not the mental barriers to recovery trump the physical. Out-of-work employees often succomb to depression – and once that happens, full recovery and return to productive employment are much less likely to occur. Ultimately, it’s a matter of who pays, how much and when. The enormous cost of losing a productive worker is seldom factored into the equation. While Congress is about to force the parity issue on employers and insurers for conventional health coverage, no such pressure is pending – or is even foreseeable – for the workers comp system. Disaster management and the WTC – Previously, we noted Peter Rousmaniere’s excellent in-depth series on the World Trade Center. The final two installments have been posted: Part 3: Peeling a Sour Apple, which deals with the ongoing efforts to pay for the lingering health effects of the cleanup, and Part 4: Out of the Ashes – Another Failure?, an assessment of reforms that need to be enacted for the future. If you haven’t seen the series yet, access complete coverage and related stories here. Heckuva job, feds! – Nuclear weapons workers continue to die from cancer during the buck-passing and bureaucratic bungling that has held up intended compensation from legislation enacted in 2000 aimed at providing relief to Rocky Flats workers who were exposed to damaging levels of radiation. Laura Frank of Rocky Mountain News reports on the latest snafus that potentially left thousands of eligible workers off the lists. Workers Comp and Disability Conference – Last week, I was at the National Workers Comp & Disability Conference & Expo in Chicago, an annual event hosted by LRP and the folks at Risk & Insurance. According to promoters, next year’s show will return to Las Vegas, and the venue will alternate between Chicago and Las Vegas in future years. The show was like a bloggers’ convention: besides yours truly, we saw Joe Paduda of Managed Care Matters, Richard Eskow of The Sentinel Effect, Peter Rousmaniere of Working Immigrants and Jennifer Christian of Work Fitness and Disability Roundtable. Also, our friends at workerscompensation.com were present and podcasting. You can find daily reports and news coverage of events at Risk and Insurance. Years ago, exhibitors at these shows were predominantly insurers, third party administrators and ancillary claims management services, such as investigations and subrogation. But with the medical portion of the workers comp claim dollar approaching 60% of the total cost, the exhibit hall could easily be mistaken for a health care show. Exhibitors representing services aimed at controlling medical costs predominated – pharmacy benefit managers, case management services, and provider networks – both national and smaller regional organizations. There were also a number of exhibitors representing treatment facilities for catastrophic care and advanced medical technologies and devices. There were a number of companies offering job analysis services to assist in hiring, job placement, and return to work, and a number of vendors representing translation services. One compelling session was a case history on managing prescription drugs presented by Joe Paduda and Francis Fey, CEO and president of JI Companies. Joe first gave an overview of his company’s 4th Annual Survey Report on Prescription Drug Management in Workers Compensation noting that prescription drugs account for about 14.5% of the workers comp medical expenses and that utilization continues to be the key cost driver. Francis Fey then presented a case history of partnering with Cypress Care to implement an aggressive pharmacy management program with a number of Texas employers in the public and private sectors. It included an authorization program that issued cards to all employees and aggressive clinical pharmacy review of high prescribers and red-flag drugs. An important component was the intensive doctor-to-doctor communication to try to change prescribing behaviors, such as changing from name brand to generic drugs and helping prescribers to see alternatives to the use of addictive and/or inappropriate pain medications. A strong emphasis was put on reviewing old claims with high prescription costs. The program yielded and 8 to 1 ROI, with annual savings ranging as high as $10,000 per claim.